Having trouble with the identification questions? Is My Credit Score Really Free? Have you received a call from a company claiming to be Credit.com asking you for personal information to get a loan? Will Credit Monitoring Hurt My Credit Score? Can I get my Credit Report Card multiple times? Your Credit Report Card is a completely free service and you will not be charged for utilizing it. Approximately every 14 days you will receive an email informing you that you have an updated Credit Report Card ready to be viewed. This is a great way keep an eye on your credit file. Keep in mind, Credit.com will not charge you for your free Credit Report Card. We do advertise paid subscriptions from companies such as Experian, MyFico and Lexington Law on our site, so make sure to check your bank statement or email inbox to confirm who is charging you. If you can't remember which credit report service you may have purchased, we recommend checking your e-mail for your order confirmation from the company which offered you their service. If you are still having trouble identifying which number to call, please submit an assistance request to Credit.com support or you can email us at support@credit.com. 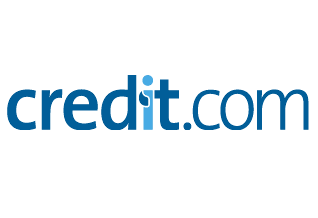 Thank you for using Credit.com and please let us know how we can improve to continue serving your credit needs! How do I cancel or delete my free Credit.com account?